Breaking into the Volkswagen crowd has never been easier thanks to the all-new Jetta. This 2014 model boasts beautiful styling inside and out, bountiful power options and vast utility. Volkswagen owners are fiercely loyal to their vehicles, and for good reason. Body types: Buyers can choose between the gorgeous sedan and versatile SportWagen configurations. The sedan offers seating for five and plenty of trunk space. People looking for a little more cargo space can select the SportWagen, though it still offers just five seats. Trim levels: With 17 trim levels to choose from, buyers never have a shortage of options while choosing a Jetta. People looking for a base model can select the S or SE, while those searching for more power and amenities may like the SEL or GLI. Volkswagen also offers the TDI and Hybrid models for improved power consumption. Each of these five main designations comes in different trim levels that feature various interior and exterior styling options and amenities. Engine options: Engine options galore keep buyers happy with this vehicle. The S model comes with a 2 liter, four-cylinder engine with 115 horsepower. Volkswagen fitted the SE and SEL with the new 1.8 liter turbocharged engine that pushes 170 horsepower. The GLI creates 210 horsepower with its 2.0 turbo power plant. The hybrid and TDI models both create ample power while maintaining a high mileage rating. Performance: The highlight of all Jetta models is its eye on performance. Power offered by these engine options deftly pushes this vehicle to speed with minimal effort. Drivers simply point and shoot to make it to their destination in style. The power plant cannot take all of the credit for this performance minded beast. Aerodynamic styling cues lower the drag coefficient to .28 putting it in line with its main competitors, the Honda Civic and Ford Focus. Transmission options: Consumers can choose between three transmission options to fully customize their ride. The manual options either come with five or six gears plus overdrive. The automatic option features Tiptronic and sport mode to give drivers the ability to manually engage the gears when desired. Braking and handling: Once in motion, this vehicle would continue rocketing forward without use of its capable anti-lock, four-wheel disc brake system. Brake fade is nearly non-existent due to the excellent pads and rotors utilized by the manufacturer. Volkswagen attached this braking system to a multi-link suspension setup, all-new for this model year. The independent suspension feels solid, yet soft enough for a comfortable ride. Safety: All of the Jetta models received the best safety ratings available on the front, side and rollover crash tests. Front, side and rear air bags protect the passengers from harm during a crash. Preventive measures are also in place. Jettas have auto-leveling headlights and turn signal mirrors to improve visibility all around. Electronic stability control and traction control systems protect the occupants from ever crashing in the first place. Interior styling: All of the interior components were well planned to avoid a cluttered look. The gauge cluster in particular looks clean, making it easy to find the right speed or RPM at first glance. Gorgeous brushed metal accents make the dash and door panels look sophisticated. 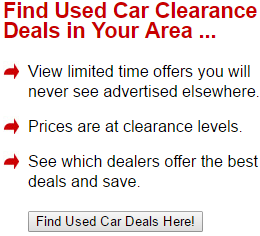 Drivers and passengers do not have to reach far to operate the navigation system, stereo or climate controls. Many of the models come with six way adjustable power seats covered in leatherette material. Drivers can even set their lumbar support using the power controls. Heated or cooled seats are available for a premium. Sound system: Drivers can enjoy their music anywhere using the Jetta's six speaker stereo system. Phones, iPods and MP3 players attach directly to the head unit using an auxiliary cable. Most models come with a 3-month trial subscription to Sirius satellite radio for even more music options. Fun factor: Volkswagens have a strong following for a reason: they are just plain fun. Drivers will instantly fall in love with their vehicle after piloting it around the block just once. Merging on the freeway, navigating twisty roads and blasting down the straights all feel effortless and enjoyable when behind the wheel of a Jetta. The 2014 Volkswagen Jetta does have a few limitations to reflect on before making a final purchase. Muted steering feedback: Electronic steering boxes of today do not have the solid feel provided by mechanical gears. As a result, drivers may crave a bit more feedback from the steering than the Jetta offers. However, most people quickly adapt to the light feedback that comes through the wheel. Maintenance needed: Volkswagens as a whole should not be neglected. Buyers should commit to performing maintenance and repair tasks on schedule to avoid major problems down the road. Taking the vehicle into the shop for planned maintenance procedures will keep it in good shape over the years. Price: Adding features, including power options, quickly ratchets up the Jetta's price point. The base model is clearly affordable at just above $20,000, but the fully loaded 30th anniversary edition GLI could break the bank at nearly $30,000. However, people looking for a piece of history may not mind the higher price point. 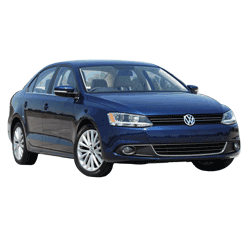 Overall, the 2014 Volkswagen Jetta is an excellent choice for people who want a well-rounded vehicle. The Jetta offers excellent performance, comfort and style for one low price. People who want additional amenities have the option to pile them on during their purchase appointment.